11 YRS Nanping Zhongan New Energy Technology Co., Ltd.
9 YRS Guangzhou Genuine Auto Parts Co., Ltd.
7 YRS Guangzhou Yishan Auto Parts Trade Co., Ltd.
, ltd is a professional company engaged in auto parts wholesale and retail business. Consequently, our company's growth is continuous and harmonious. com Fax: 086-020-29142615 Website: If you have any questions, you can contact us at any time. 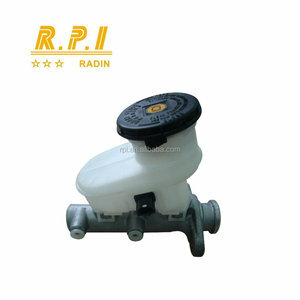 3 YRS Jinhua Baxin Auto Parts Co., Ltd.
Top quality auto spare parts clutch master cylinder forISUZU D-MAX OEM:8-97943-432-0 Our advantages: 1.Quality first 2.Competitive price 3.Factory directly 4.Good material 5.Excellent workmanship. 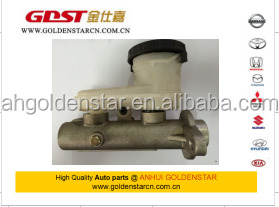 11 YRS Guangzhou Jupeng Trade Co., Ltd.
Taizhou GutenTop stock selling good quality Clutch master cylinder for lada clutch pump. 2.MOQ : According to the product , if we have stock the quantity is ok . 3. The freight : Less than 100 kg advice Courier . We are sure that we could give you the satisfied service and high quality. Sincerely hope to start very good and long time business relationship with you! OEM NO. 30, Zhexi Avenue, Quzhou City, Zhejiang Province, China. 4 YRS Yuhuan Shangxin Mechanical Co., Ltd.
6 YRS Zhejiang Dier Detent Co., Ltd.
, Ltd have more than 8 years' experience on manufacturing and trading truck cooling system, such as radiators and intercoolers. We have won a good reputation from our old customers yet all over the world. Jinan yueshidaxin engineers provide professinal skill and parts as all customers' request. 8 YRS Deauto (Wenzhou) Parts Group Co., Ltd.
for HINO MODELS: 700 / E13C, 500 / J08E J08C P11C, 300 / N04CT J05E W04E W04DT EK100 H07D H06CT F17C F17E F20C F21C K13C K13D EF750 W06E etc. for MITSUBISHI MODELS: FUSO FIGHTER & CANTERS 6D14 6D15 6D16 6D17 6D22 6D24 6D40 6M61 6M60 6M51 6M70 8M20 8DC9 8DC10 8DC10 etc. 5. FOR MORE PRODUCTS INFO & RECOMMENDATION, PLEASE CONTACT: TRACY IP Mobile / Wechat: 13242301906 Skyp: cheer_ip Email: tracyip&lt;at&gt;kusoauto. 8-98032603-0 for genuine parts brake wheel cylinder 1.OEM: 8-98032603-0, brake wheel cylinder 2.Engine type: diesel engine About Us : 1. We are a professional dealer in Shanghai China 2. We provide original parts We also can supply auto parts as follows: Cylinder head,Oil Filter,Fuel Filter,Injector,Sensor,EGR Valve,Oil Pump,Starter,Turbochanger,Relay,Timing Chain,Clutch Bearing,Gear,Camshaft,Gasket,Connecting Rod,Tensioner etc 1.Our price term : FOB Shanghai as common, other port is also acceptable. 2.Our Payment term : T/T, 30% deposit after order confirmation, 70% balance should be paid before delivery. 3.Delivery time : the spot goods is 2-10 days as common, the futures is 3 months as common,the exact delivery time depends on the order and the current condition. More than 80% of our products are exported to European and American markets. We have already gained a strong international reputation. Our team members are all technically trained and can source any product and offer unbeatable prices. is a professional supplier of auto parts for cars and trucks. They are applied to most of cars and trucks. Supply quality goods at most reasonable price; c.
Factory prices Quality guarantee Timely delivery guaranteed Perfect aftersale service Packing detail A. we can design your packing and also can make your mark on product by your requirements. 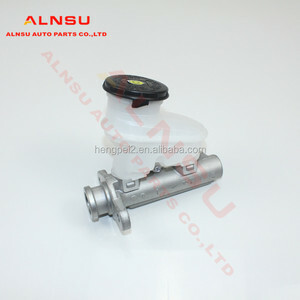 Waiting for your inquiry or any contact for more isuzu spare parts. 8 YRS Hangzhou Xiang Ling Auto Parts Co., Ltd. Thanks to our rich experience, we can respond rapidly and meet your demands in various aspects of inquiry, export operation and after-sales service. Q2: Are you a factory or trading company9 A2: We are a trade company but we have fixed factories which work for more than ten years together. Our fixed factory people always attach great importance to quality controlling from the very beginning to the very end. 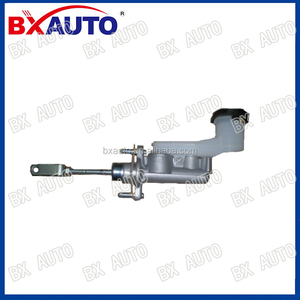 brake master cylinder: we have many models brake master cylinder for the different vehicles applicant for Japanese, America, European and Korea vehicles. and our products are welcomed by our customers with good quality and high reputation. We supply auto parts for the following vehicles:1) Toyota: Hiace 4Y 1RZ, 2RZ, Hilux, Land Cruiser, Corolla, Corona, Prado, Cressida,Dana, Coater, Camry, Crown, Lite Ace, Vios2) Isuzu: 4JA1 and 4JB13) Mitsubishi: Pajero4) Hino5) Skoda6) Lada7) Omats8) Daewoo9) Kia10) Hyundai11) Mercedes Benz12) BMW13) Opel14) Renault15) Peugeot16) Alfa Romeo17) Volvo18) Scanian19) Saab20) Land Rover21) Cummins, Perkins and Deutz engines22) Bedford23) Vauxhall24) Caterpillar25) Chery26) Jeely27) Mazda28) Honda29) Nissan: Subaru30) Suzuki31) Daihatsu32) Volkswagen: Golf, Jetta, Bora, Passat33) Audi34) Citroen35) Fiat36) Iveco37) Ford38) General Motors39) Buick40) Cadillac41) Cherokee42) Chevrolet43) Dodge44) Lincoln These parts include engine parts ,body parts, cooling systems, electric parts, engine mountings, suspensions parts ,steering parts and wheel hubs,clutch parts ,brake parts. 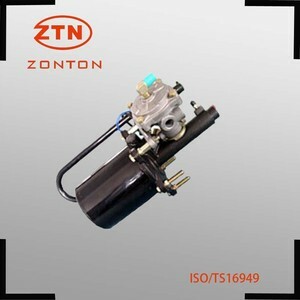 Alibaba.com offers 560 isuzu master brake products. About 55% of these are other auto brake system. A wide variety of isuzu master brake options are available to you, such as free samples. 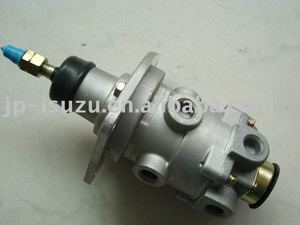 There are 560 isuzu master brake suppliers, mainly located in Asia. 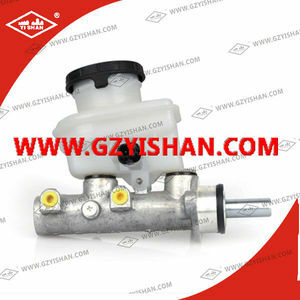 The top supplying country is China (Mainland), which supply 100% of isuzu master brake respectively. 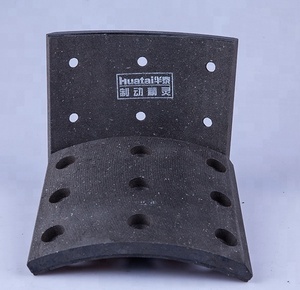 Isuzu master brake products are most popular in South America, North America, and Mid East. You can ensure product safety by selecting from certified suppliers, including 13 with ISO9001, 8 with ISO/TS16949, and 2 with Other certification.